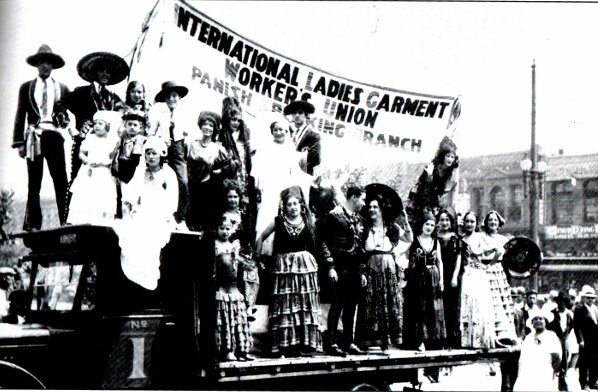 International Ladies Garment Workers Union, Spanish Speaking Branch. Los Angeles, 1933. While the history of Labor Day is a sketchy one, it was meant to replace the more radical anarcho/commie tinged May Day, it is at least the one day people pay homage to the working class of the good ol’ USA. Except there’s not much ‘good’ around here anymore and – are you working class if you don’t have a job? This photo is from a 1933 Labor Day parade in Downtown Los Angeles possibly near Olvera Street. It was common for many Mexicans of early Los Angeles to adopt Spanish style clothing when celebrating holidays. It was a fashion thing I think, maybe too much Ramona and Fiesta on their mind. Eighty or so years later and we’ve ditched the ruffles for huipiles. The Homicide Report Blog. Part 2. The Browne solution. This entry was posted in El Centro, history, Politica, The Ethnics by chimatli. Bookmark the permalink.